Application for medical license in Iowa. 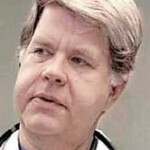 Renewal for medical license in Kansas. Application for endorsement in Kansas. Application for medical license in Nebraska. 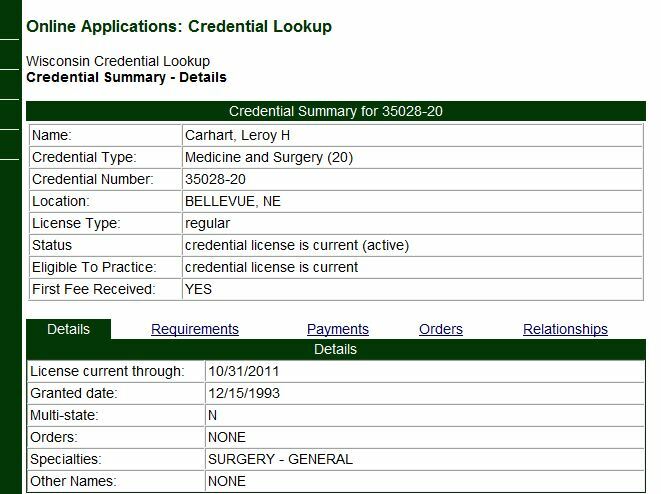 Renewals for medical license in Nebraska. 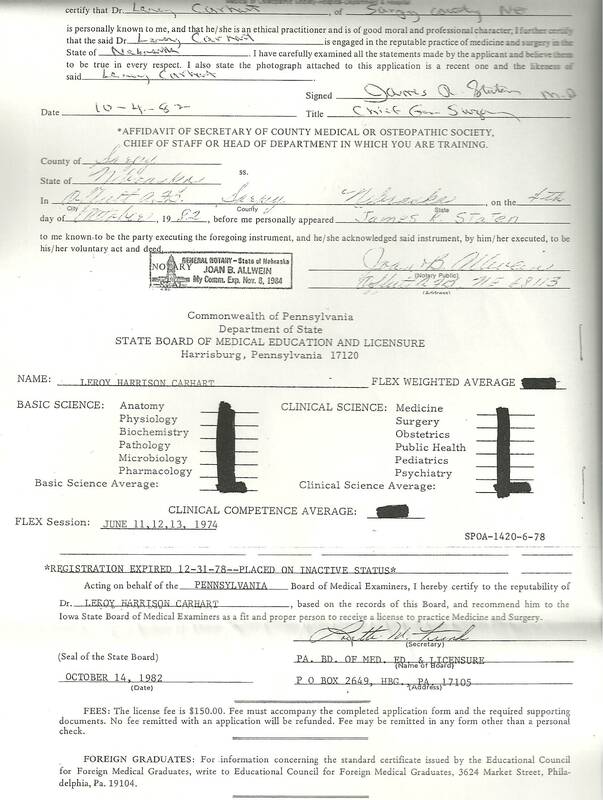 Application for medical license in Pennsylvania. 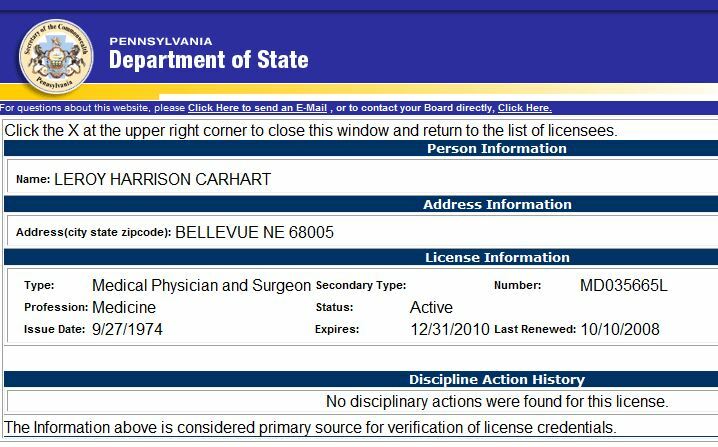 Application for medical license in Ohio. 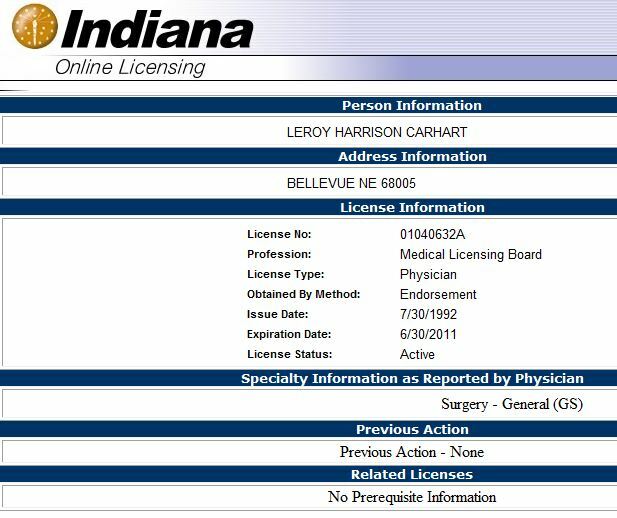 Application for medical license in Indiana, as of 2016. 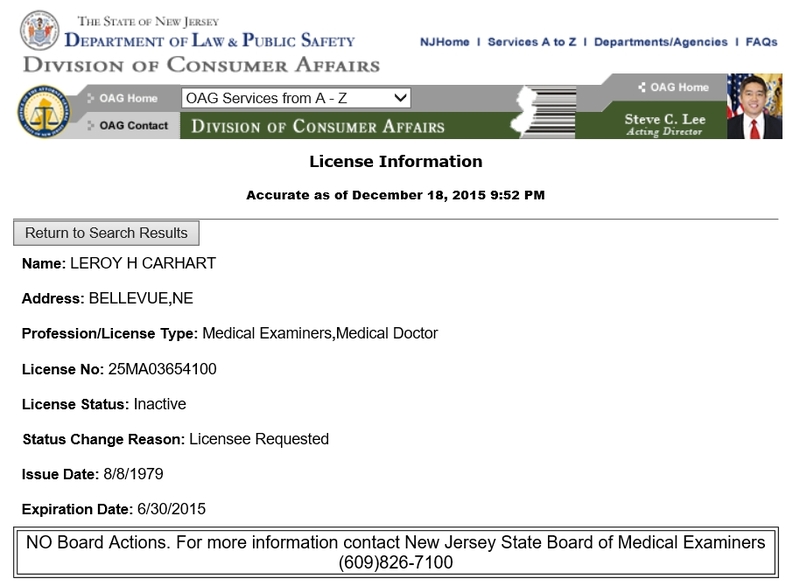 Profile for medical license in New Jersey. 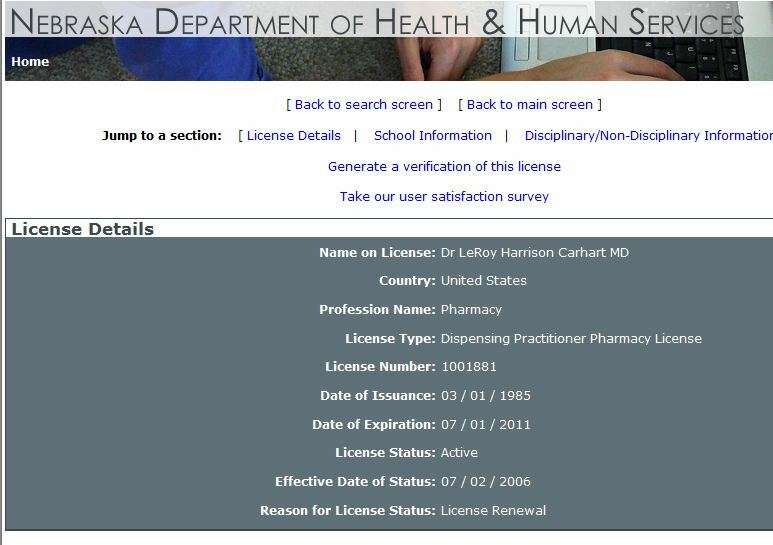 Dispensing Practitioner App & Renewals, Nebraska. 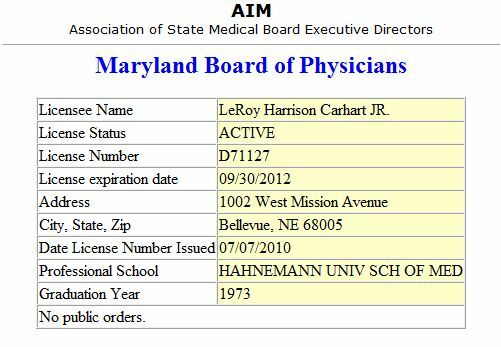 Indiana medical license profile for Leroy Harrison Carhart, MD. Expires on 10-31-2019. 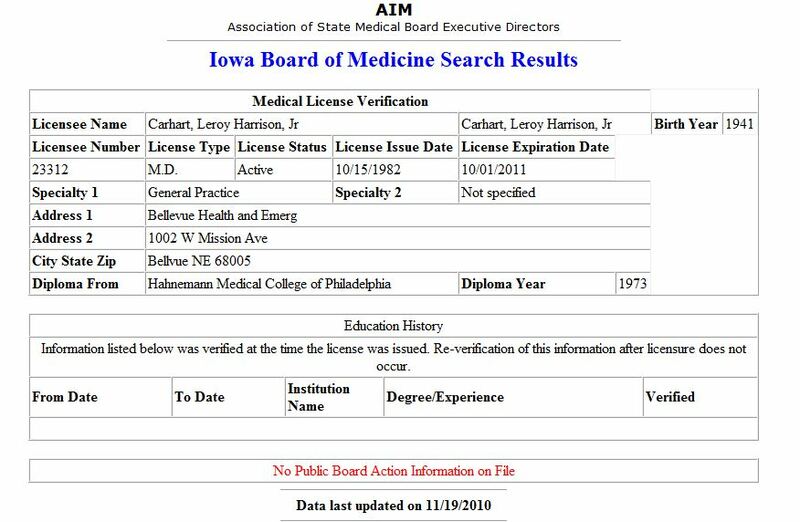 Iowa medical license profile for Leroy Harrison Carhart, MD. Expires 10-01-2019. 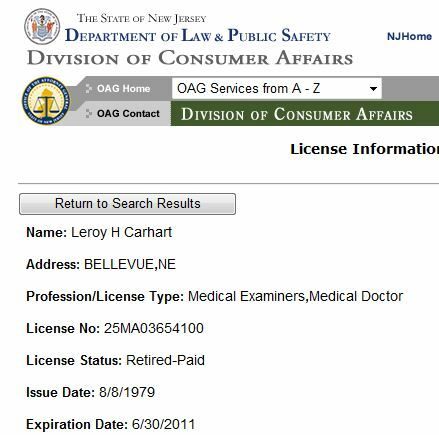 Nebraska abortion clinic license for the "Bellevue Health Center," also known as the "Abortion Contraception Clinic." 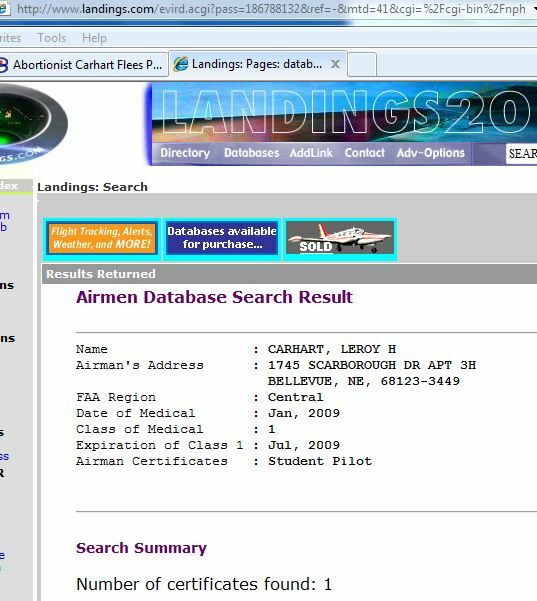 Owner is Leroy Carhart. 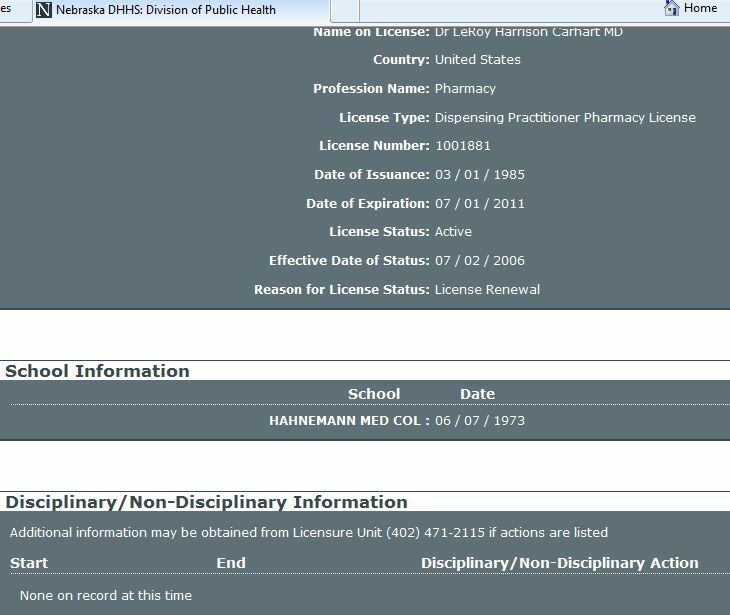 Controlled Substance Certificate in Nebraska. 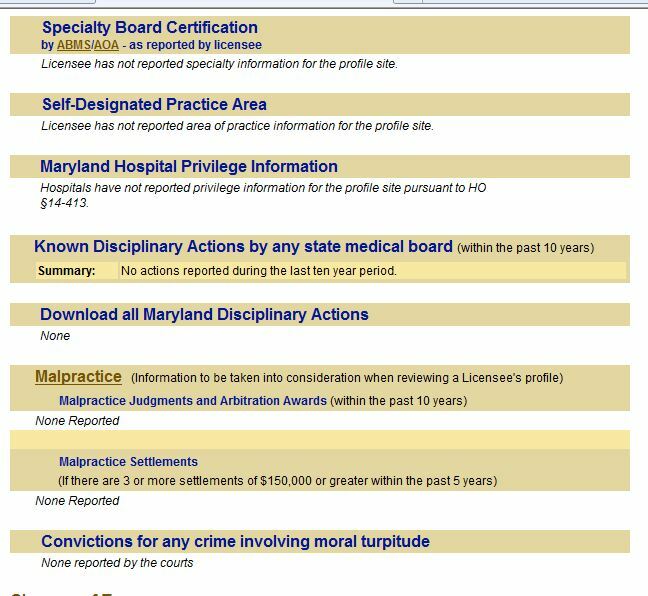 Application for medical license in Maryland. 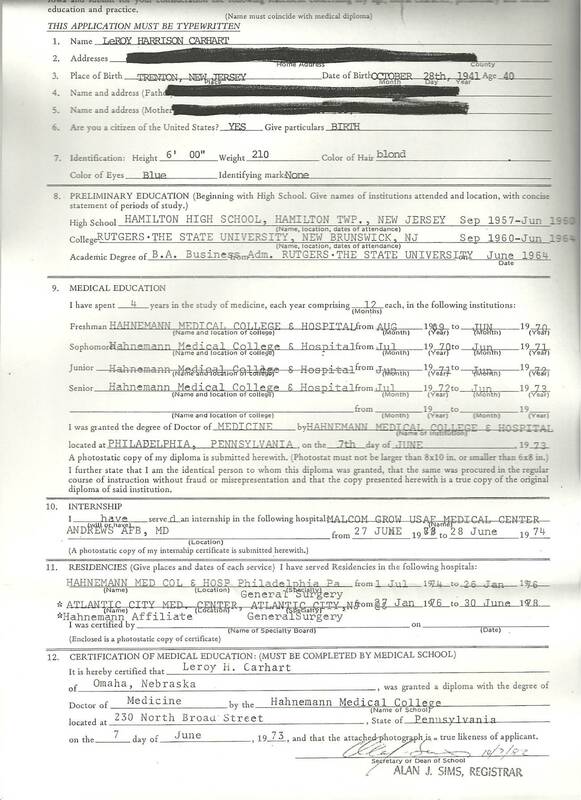 Application for medical license in Indiana. 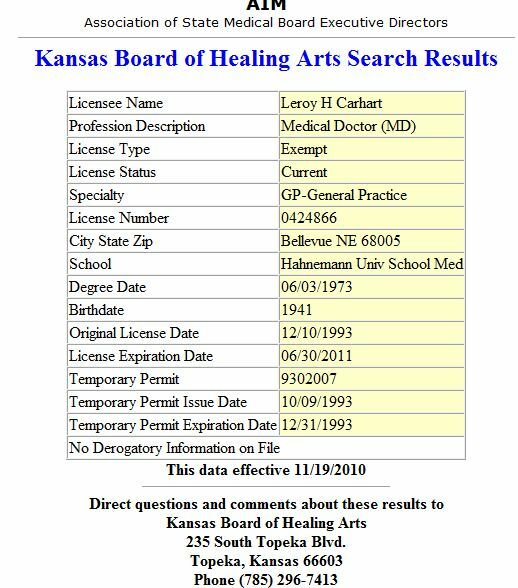 Application for medical license in Kansas. Order in the Devine v. Carhart case that essentially blocks plaintiff's attorney from accessing defendant's discovery, citing HIPAA. Bellevue Leader, July 25, 1992 article reporting that 11 horses and two dogs were confiscated by the Humane Department due to neglect. 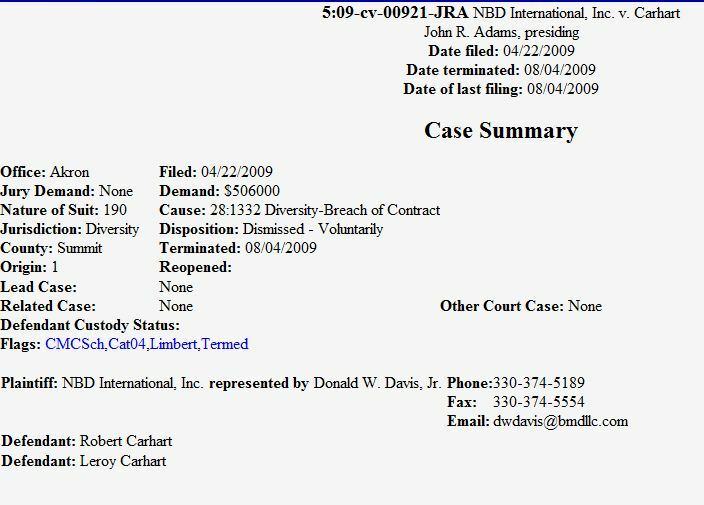 This affidavit was submitted to the NE Attorney General with a complaint seeking an investigation into alleged criminal conduct by Carhart. No charges were ever filed. 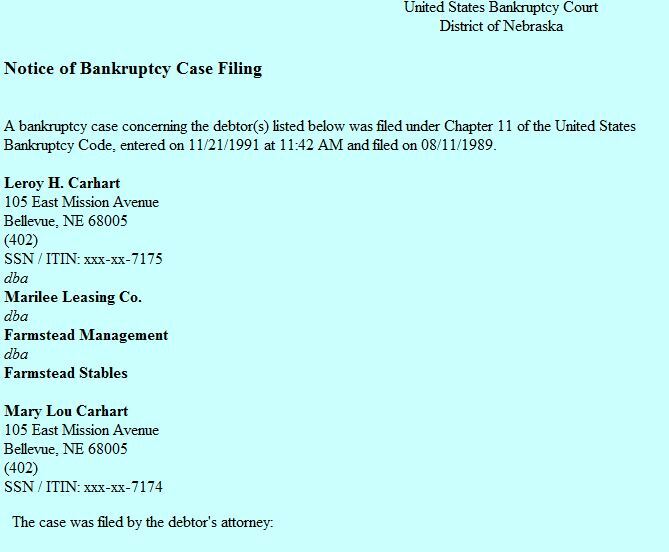 Affidavit of former Carhart employee filed with the Attorney General's office alleging criminal conduct. Computer aided dispatch transcript of 911 call placed from Women's Health Care Services in Wichita, KS. 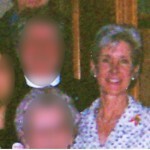 The patient, Christin Gilbert, died as a result of her abortion. 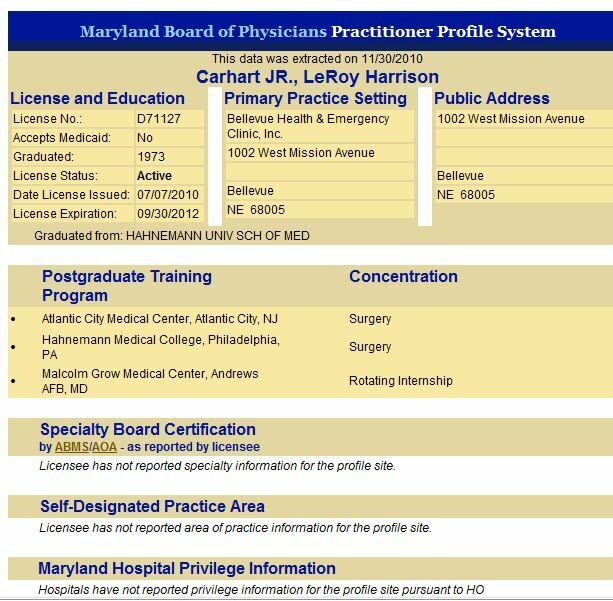 Chief Medical Examiner for the state of Maryland - Jennifer L. Morbelli autopsy report, Feb. 8, 2013. 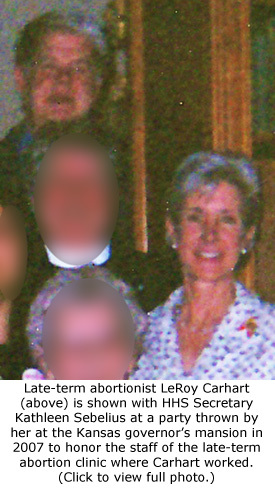 Jennifer Morbelli died from complications following a botched abortion. 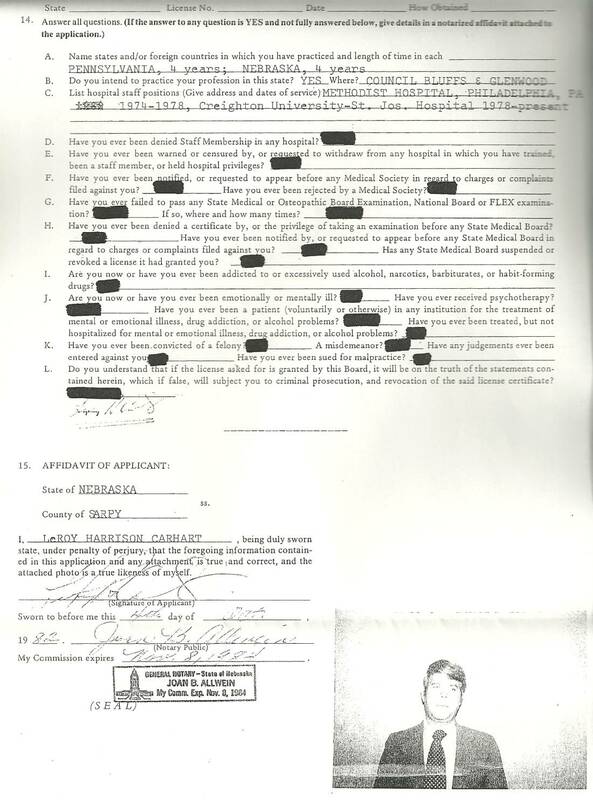 Subpoena from the House Select Panel on Infant Lives related to suspected illegal trafficking in aborted baby remains, GRHS medical emergencies, and infants born alive during Carhart's failed abortions. 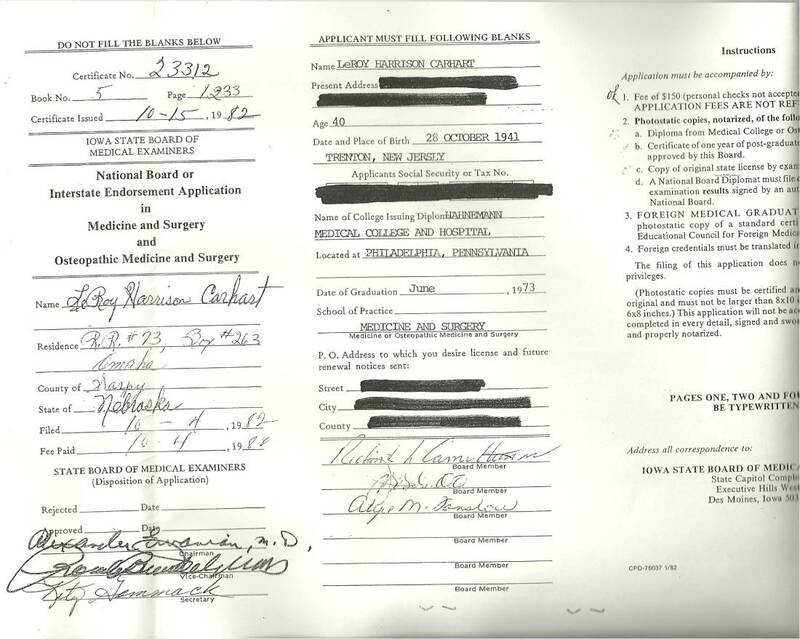 Subpoena from the House Select Panel on Infant Lives related to GRHS medical emergencies and infants born alive during Carhart's failed abortions. Court case list for Leroy Carhart in Nebraska. 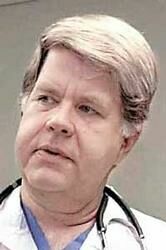 NE Atty General's office: no complaints found against Leroy Carhart abortion clinics in Nebraska. 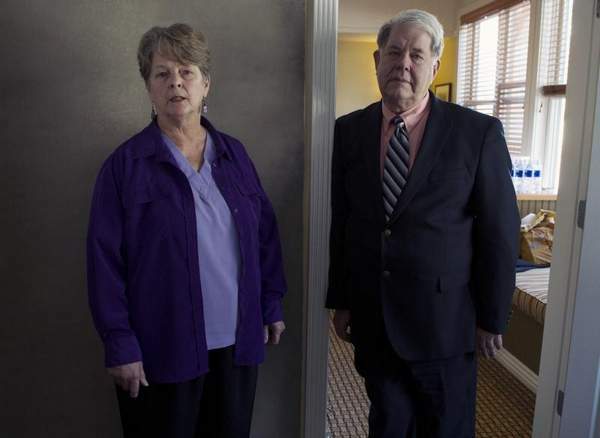 Omaha World-Herald article about former Carhart employees who filed affidavits with the Attorney General's office alleging criminal conduct.